£73.95 £65.00 More info & buy	Château Peyre-Lebade 2010 features the fruit forward characteristics specific to the Haut-Médoc appellation. This rich and developed blend of predominantly Merlot, with a splash of Cabernet Sauvignon provides toasted spice, cedar, tobacco infused black fruit wrapped around structured and well balanced tannins. Moulin de Duhart 2016, whilst being youthful, possesses impressive complexity and accessibility. The nose reveals violets, cinnamon and nutmeg, cassis and mineral notes. The palate is perfectly poised and effortless. There's no doubt this will evolve in the cellar, but it's a pleasure to drink right away. In our opinion, the best Moulin Duhart ever made. 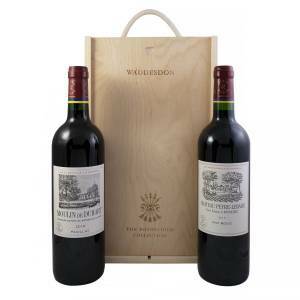 £39.95 More info & buy	The 2005 vintage in Bordeaux will go down in history for its superlative quality. 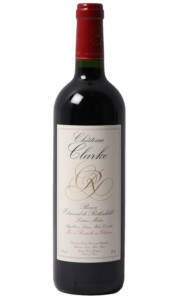 Chateau Clarke, like many Chateaux, performed well in 2005 and this vintage is still youthful in many respects. 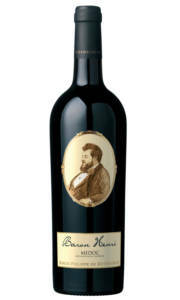 Chateau Clarke 2005 possesses a rich nose of black cherry, iron filings, earthy spice, coffee, toasted vanilla, and cigar box. The palate is weighty and rich with a classic tannic structure and vibrant acidity. It is strongly advised that this vintage is served with a dish rich in protein, and that it has been decanted for at least three hours. Drink now to 2020. 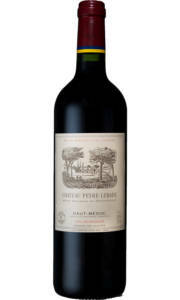 £32.95 More info & buy	The vintage balances the intensity of Cabernet sauvignon and juiciness of merlot quite brilliantly. The nose starts with spicy red fruit, then after a few minutes in the the glass layers spicy oak, cassis and vanilla emerge. All the aromas follow on from the nose to palate with charming bright fruit, ripe and approachable tannins and a spicy finish. The purity and poise, characters typical of the 2015 vintage, are evident on the nose and palate. Typical of the vintage and very 'Lafite' in style! 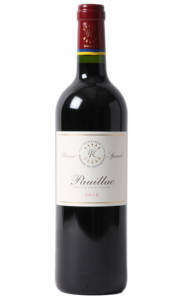 £22.50 More info & buy	Classic Merlot on the nose; red cherry, blackberry and plum. Micro-oxygenation occurs in the barrel which enables the wine to reveal an array of mature spices; cinnamon, vanilla and nutmeg. The palate is medium bodied with fresh red fruits, supple tannins and gentle acidity. This wine benefits from a short period in a decanter.